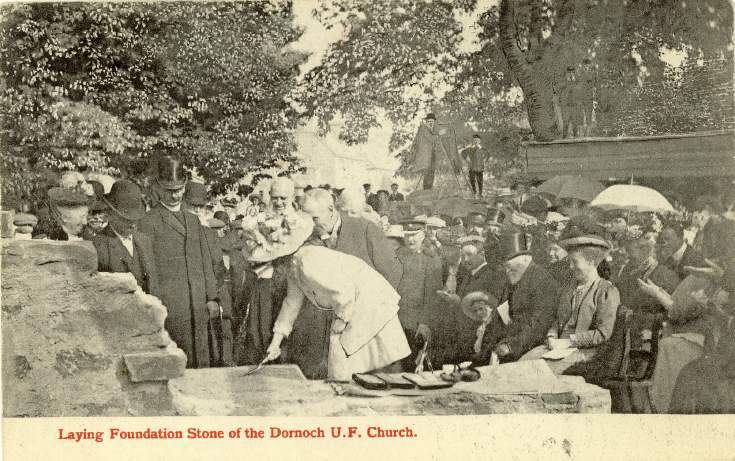 Postcard showing the laying of the foundation stone of the Dornoch UF Church. Posted from Dornoch in 1908 to Mr I C Punton, 2nd Cabin Passenger, SS Campania, Queenstown. Mr Punton must have been emigrating - message reads "Good bye dear old boy and good luck go with you (? )Jim".